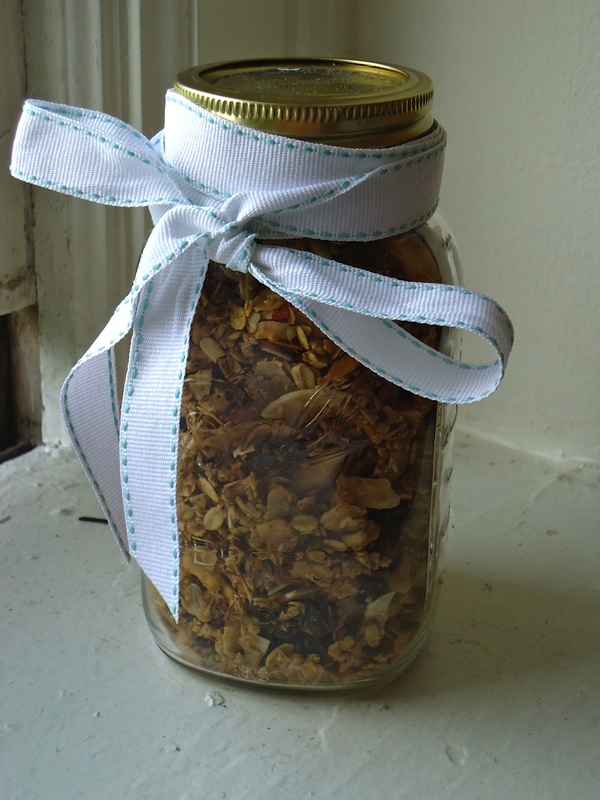 Whip up a batch of this nutty, naturally sweet, healthy granola. Eat as cereal, on yogurt, or just grab a handful as a great snack! Mix oats, flour, coconut, almonds, raisins and spices in a medium sized bowl. Mix maple syrup and oil in a separate bowl. Combine syrup mixture with oat mixture and stir until evenly coated. Pour mixture onto greased baking sheet and spread evenly. Stir mixture and continue to bake for another 20-30 minutes until crisp. *To make granola gluten-free, use Gluten-Free Oats and Teff or Almond Flour instead of Whole Wheat Flour.